I truly appreciate Dr. Cucchetti’s knowledge and understanding of the role joint health plays in the life of a physically active patient. His work is excellent and he provides hope. I felt like Dr. Cucchetti treated me like a whole person. Everyone in the office is really kind and helpful too! Dr. Cucchetti is great! He gets down to the point and talks in a way where you understand everything he's saying and doesn't confuse you with any crazy medical terms. If your worried or have any questions he'll gladly answer them for you throughly. I would recommend Dr. Cucchetti. At last, a doctor who actually listens AND talks to me, instead of at me! 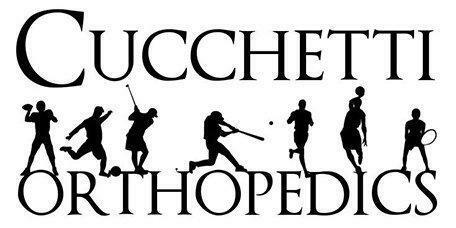 Dr. Cucchetti has been my Orthopedic Surgeon for my Left and Right Knee Meniscus Repair and my Left Tricepts repair. I have been coming to him for many years. He is simply the BEST! Great experience. Felt listened to and understood! Dr. Cucchetti is THE BEST!! He gets to the point, has a terrific sense of humor, and, best of all, he LISTENS to his patients. 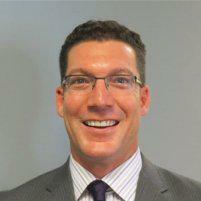 Hands down -- if you need an orthopedist, Dr. C. is the one! I have had multiple visits and two procedures done by Dr Cuchetti. I find him the very best both in his knowledge, and dedication to solving the problem. His staff are simply the nicest, and most dedicated people you would ever have contact with period. I am a veteran and needed civilian care. After getting the run around, we found Dr. Cucchetti, got right in to see him and rescheduled surgery for the following day. Dr. Cucchetti heard me, was very informative about my case and gave me a much better prognosis that previously expected! Furthermore, his office staff was very welcoming, warm, genuinely compassionate to my case and expedient with getting all the paperwork taken care of! I highly recommend this physician and his staff! Huge, huge thanks!! Very impressed with Dr Cucchetti and his staff. He did not rush through my exam and answered my questions. Looking forward to the next visit. He spent time with both me and my husband. Dr. Cucchetti is the a doctor but a friend. He listens to his patients and treats you like family. We have known Dr. C. For years and he has always made time for his patient. He really cares and solved the issue. I highly recommend him. He is the in the Valley. The dr was thoughtful about what we do to get me back on my knee!